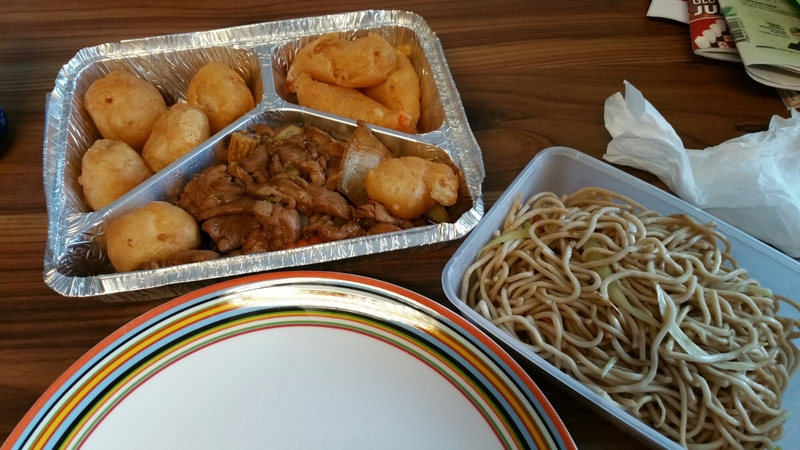 So much food, had to split it into two servings. 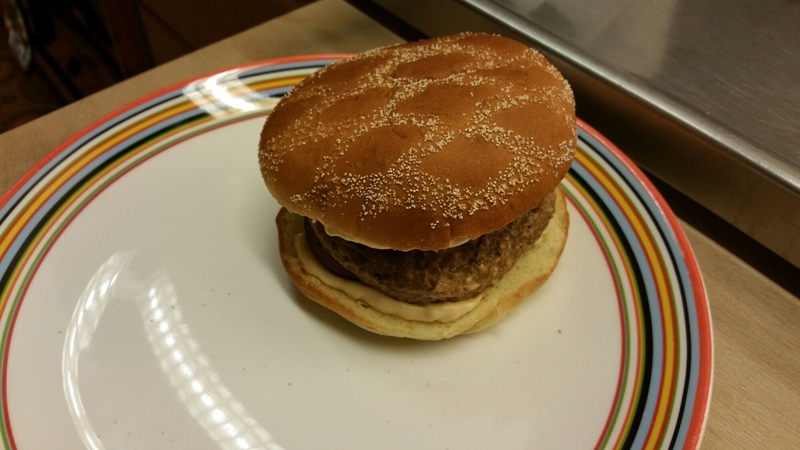 Quorn burger with onion, sauce, and mushroom. 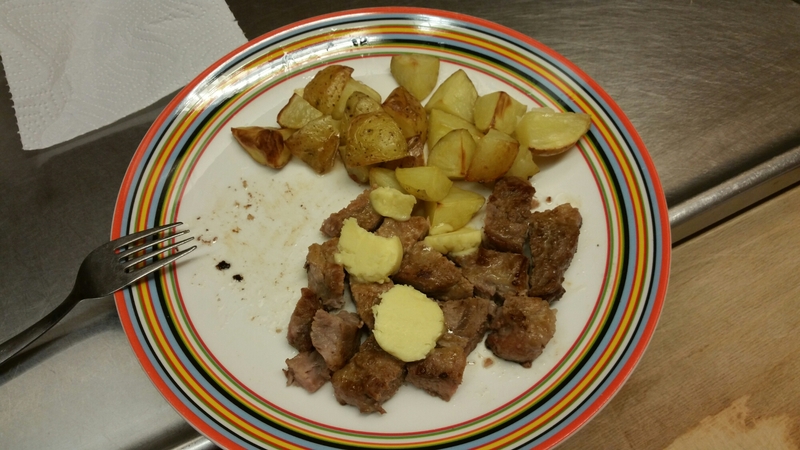 Pork, potatoes, and garlic butter. Gotta make use of leftover potatoes somehow. Biff Rydberg. 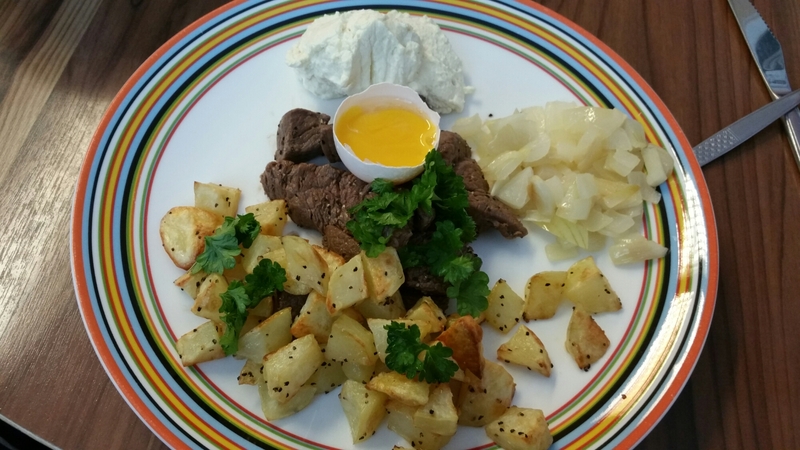 A fancier Swedish dish. 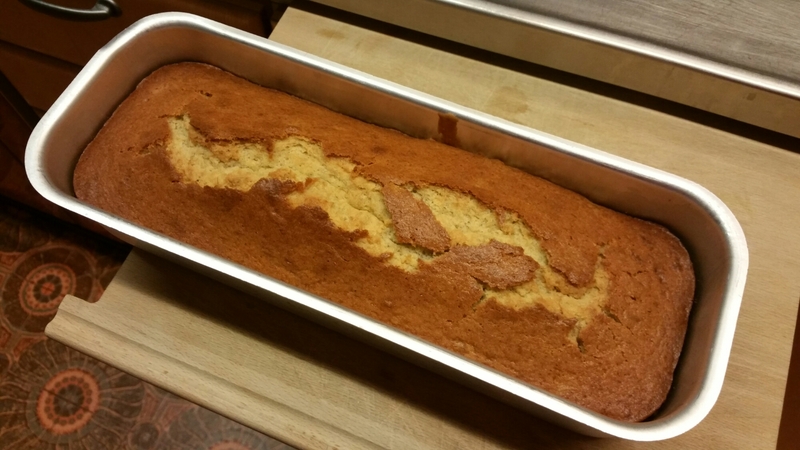 Yummy banana bread, in fact. 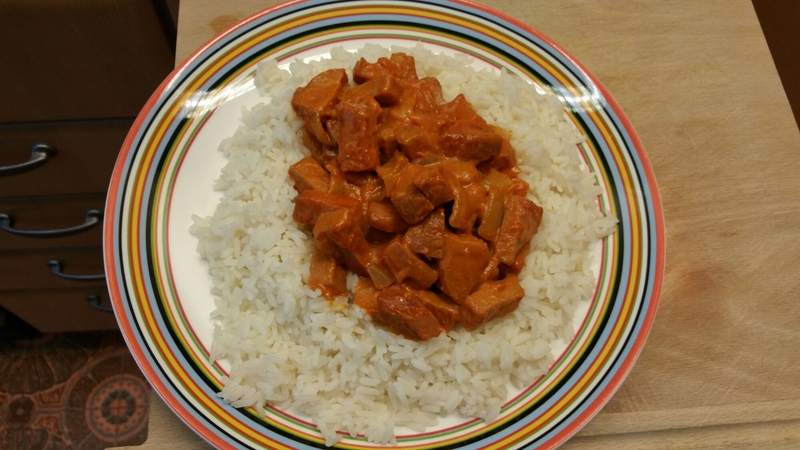 Sausage stroganoff, made with deli falu sausage, and rice. 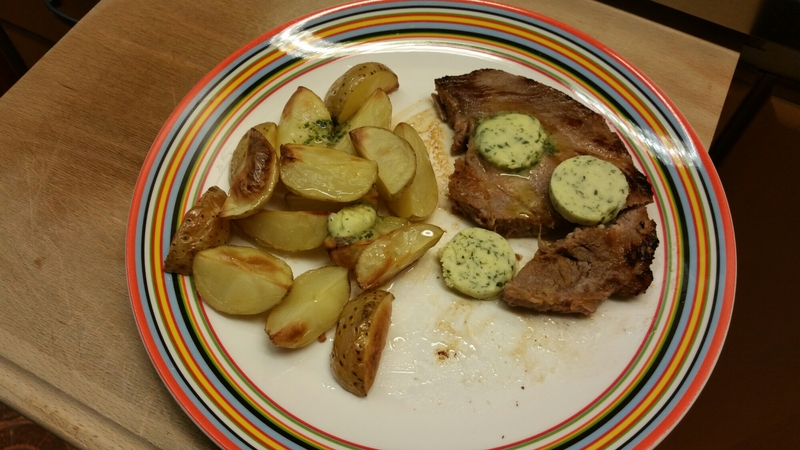 Pork, potatoes, and parsley butter.